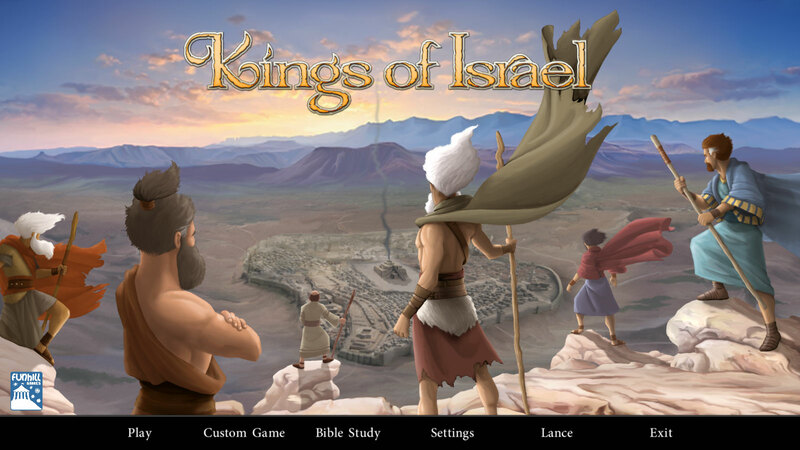 The latest build of the Kings of Israel video game is out! The game is getting close, the intro screen is up, event bugs have been fixed, and menu work is coming along. I added a couple more screen shots of the game on the Kings of Israel video game page, check them out! I have updated the Order page so bulk preorders could be placed for Kings of Israel. This is primarily for groups that might want to use the game for Bible study purposes, but if some people want to pool their money together and save up to 30% off Kings of Israel then I am all for it! Unfortunately, no new updates on the expected shipping date of Kings of Israel. The games are still at port waiting to go through customs. The boat containing the copies of “Kings of Israel” reached the New York port this morning! So what does that mean?! 1. The copies of Kings of Israel have to clear customs at the port. 2. The games are then loaded up and driven to the Amazon warehouse in Chattanooga, Tennessee. 3. Amazon takes the boxes in, verify they meet their requirements, and adds the games to their inventory. 4. I upload the spreadsheets containing the list of every US backer and the number of copies of Kings of Israel they will receive. At the same time, I request a bulk shipment of games be sent to my location so that I may send them out to all international backers. 5. Amazon proceeds to ship out all the US copies of Kings of Israel. 6. International Only: Amazon proceeds to ship to me all of the copies of Kings of Israel that need to go to international backers. 7. International Only: I receive those copies of Kings of Israel and proceed to ship them out directly to all of the international backers with the exception of the Canadian and Australian backers. For those backers I have a contact within both countries that will receive all of that country’s games who will then ship them out to each person within that particular country once they receive them. And that covers it! If you have preordered a copy of Kings of Israel and recently changed your shipping address please e-mail me at mrlancehill@gmail.com with the changes needing to be made. Stay tuned for more progress updates regarding Kings of Israel! Kings of Israel is on the Christmas Wishlist Podcast from the Game Store Prophets, check it out! I needed to clean up the website before the big arrival of Kings of Israel, so changes are happening! Some things still need to be changed and modified, but lots of new content on the way too! 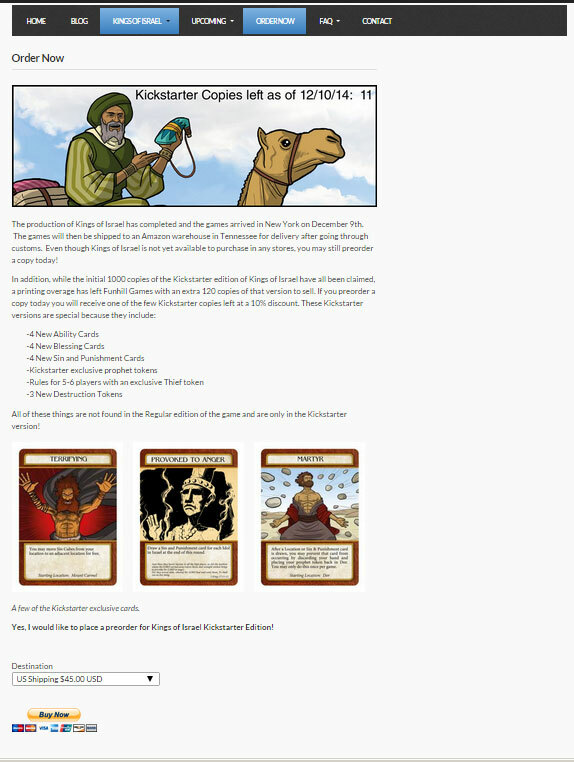 Kings of Israel review is up on islaythedragon.com! I think it is a well done review, goes over all the things he likes and dislikes about the game and should be very helpful for those trying to decide whether to pick Kings of Israel up or not. Check it out! Tom Vasel’s review of Kings of Israel is up, check it out below! I finally finished transferring all of the downloadable Bible studies for Kings of Israel into a similar format and layout. Now each study has three different ways to be used, depending on the amount of time available and the involvement of the students. Now to finish up the video tutorial!